Wordless Wednesday | Boy or Girl? 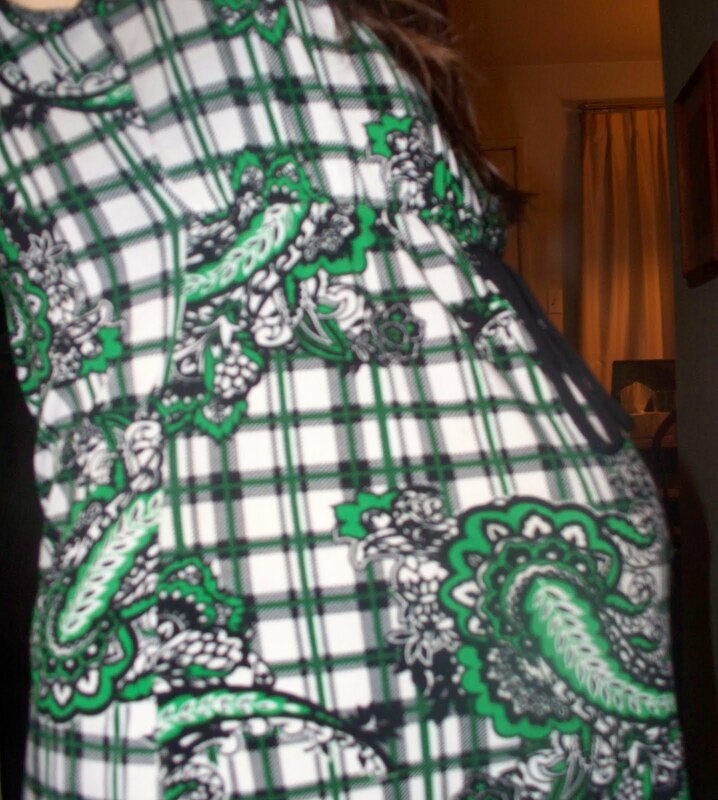 Belly shot at 25 weeks. This is my fifth child. I have two girls and two boys. Both of my boys were summer babies and my girls were winter babies. I am due on New Year’s Day. If the time of year of conception determines the gender of my children then this should be another girl. I find out if my theory is correct today at 1 pm PST when I have my ultrasound. What do you think? Is it a boy or a girl? I think a boy too! I say girl. Best of luck! And congratulations!!! Ciara is going to be disappointed if you two are correct. She already has two little brothers and is hoping for a baby sister. We'll see! I'll share the results of my ultrasound later this afternoon. I think your body is going to surprise you and its a boy. How exciting either way. Oh, wow…I didn't know. Congratulations! You look great. Sounds like a girl. Maybe a New Year's Eve baby? Well both my January babies were boys..so I say boy. I say girl…but what i really want to know is how you do it with 4 (almost 5) ?!?! I feel overloaded with 1!!! Both of my boys were summer babies and this is my first winter one. I hope that I take after you and it finally means that I'm getting a girl! I can't wait to hear what you find out! Congrats! A healthy, happy baby? I never remember all thse tales about how your tummy sits, etc! No idea but cant wait to find out!! I'm going to say boy. Let us know what you find out! i'm terrible at guessing these things but i wish you a safe delivery regardless boy or girl. Well, the news is in and it is a boy! My mother had two girls and three boys and now so will I.
I told her that she has a big sister just like mommy does. The conversation was cute, but she'll get over it and she'll love this baby brother just as much as she loves her other two baby brothers. Hmmmm, I can never tell these things! I never was right in guessing the gender… so I am not trying this time. I say a girl. . .did you post the result of the ultrasound? I didn't see it but I've been having trouble with the site lately so I will check back again! Thank you for the comment on my MS post. Glad your pregnancy is still going well! Oh woops, I just saw your answer — I was wrong! Congrats! That will be nice to have your three boys close in age as brothers!